Patriot Gold Corp., a gold resource and exploration company, today announced plans to commence a resource definition drill program to expand the parameters of a potential starter pit at the Moss Gold-Silver project located in Arizona. The program is being conducted by Patriot Gold's project partner, Northern Vertex, a Canadian-based gold exploration and development company and will focus on two central hills on patented (private) ground within the property where mineralization is exposed at the surface. Drilling is designed to assist the technical team in the preliminary design and modeling of a starter pit in the central area of the mineralized gold-silver corridor. "Our goal of advancing Moss into a near-term precious metal producer is clearly coming into focus," stated Dr. Bob Thompson, Chief Geologist of Northern Vertex. 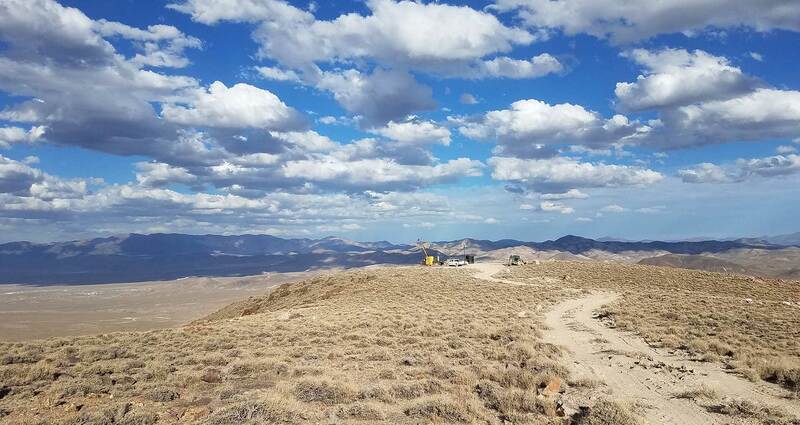 "The upcoming closely-spaced drill program will enable us to optimize our initial pit design, and expand our established 956,800-ounce Measured and Indicated gold-silver resource. The extensive development of the gold-silver bearing stockwork system in this region of the property, makes this an ideal target location to pursue the initial pilot phase of our planned, multi-phase commercial development of the Moss gold-silver resource." "We are extremely pleased with the progress thus far in the Moss project," said Bob Coale, CEO of Patriot Gold. "Expanding the initial pit design with this drill program is a critical step towards reaching Moss' resource development potential. We look forward to delivering more results as drilling begins shortly." The upcoming drill program is also expected to allow Northern Vertex to construct a mine plan and mine design as required by Arizona Dept. of Environmental Quality (AZ DEQ) for an Aquifer Protection Permit (APP). Drill contracts for the estimated 5,000 meter, multi-hole, upcoming definition drill program is currently being finalized with drilling expected to commence in the first week of October 2012. Previous underground sampling of a cross-cut in hill #2 yielded a width of 24 Meters Averaging 4.9 gpt Gold Equivalent including 9.14 Meters of 10.83 gpt Gold Equivalent Grade (see NR Aug 16, 2012). The current drill hole spacing on hill #1 is sufficiently close that cross sections and pit bench plans can be constructed. Through the upcoming drill program, the proposed drill hole spacing on hill #2 is expected to allow for similar cross sections and pit bench plans. A versatile, track-mounted, hydraulic- percussion rig, capable of operating on the hillsides, will be used to drill closely spaced holes to provide sufficient data for mine design and mine planning purposes. The Moss Mine Project is situated in the historic Oatman Mining district in northwestern Arizona. Since announcing the joint venture project with Northern Vertex in March 2011, the project has completed 93 drill holes through reverse circulation, diamond drill and coring techniques and underground sampling at three sites. The Moss deposit is a low-sulfidation epithermal stockwork deposit with a strike length in excess of one mile. The geological disclosure in this press release has been reviewed and verified by Northern Vertex's Chief Geologist, Dr. Bob Thompson, PhD P.Eng. (a qualified person for the purpose of National Instrument 43-101, Standards of Disclosure for Mineral Projects).